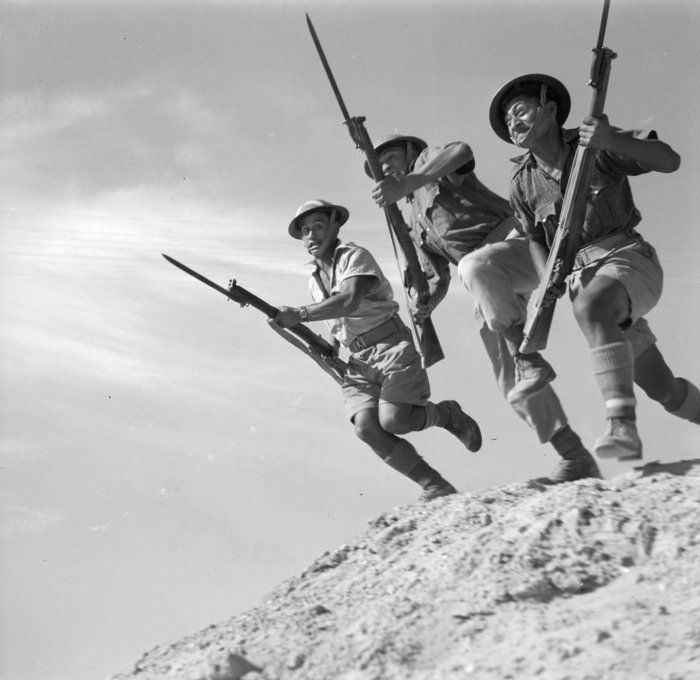 Soldiers of the Māori Battalion training in the Western Desert, Egypt. The Māori infantrymen earned a fearsome reputation for their skill with the bayonet. See other photos of the Battalion training.